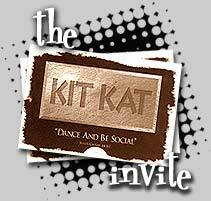 The last Kit Kat in which cofounder Blake Davidson was involved was the spectacular party at 8.0. For this party Tim Hannum transformed the restaurant bar into a dance club with the skillful use of a large party tent over the parking lot. Again, over two thousand guests attended this now legendary event.